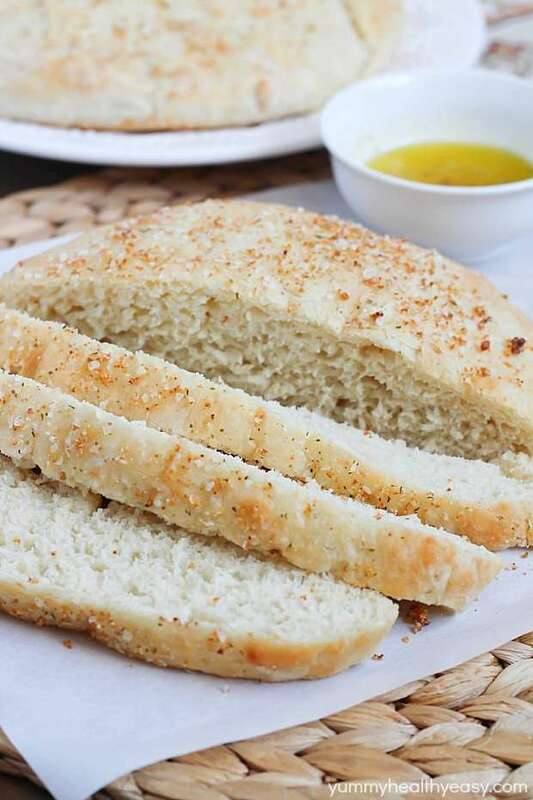 No Knead Bread and Roll Recipes make the best dinner, side dish, or appetizer. Perfect for when you want to serve up something hot and delicious but don’t feel like spending all day long in the kitchen! 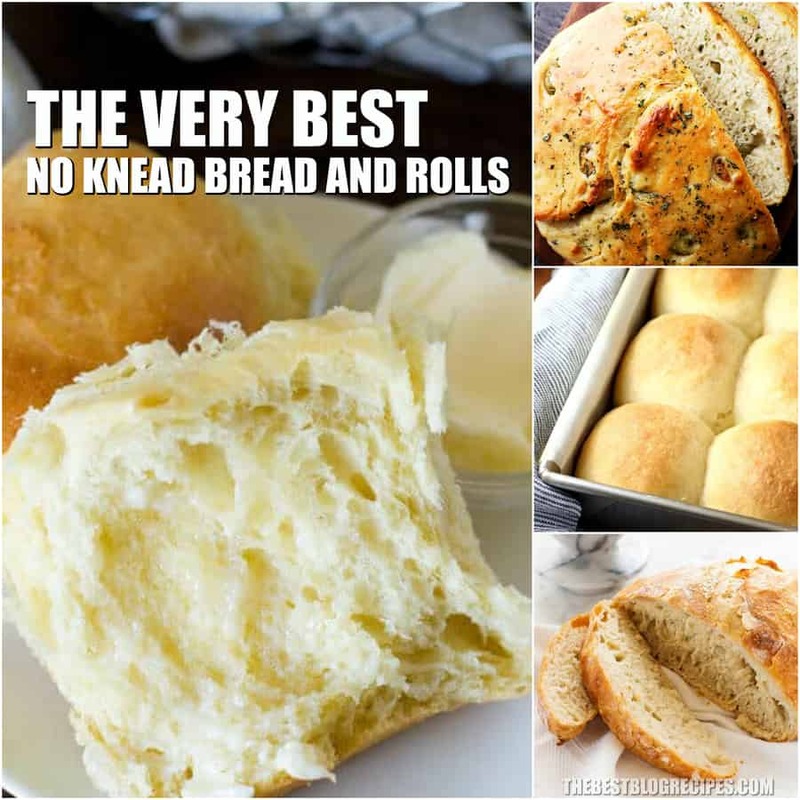 If you love bread and rolls as much as we do here at The Best Blog Recipes then you’re in luck! 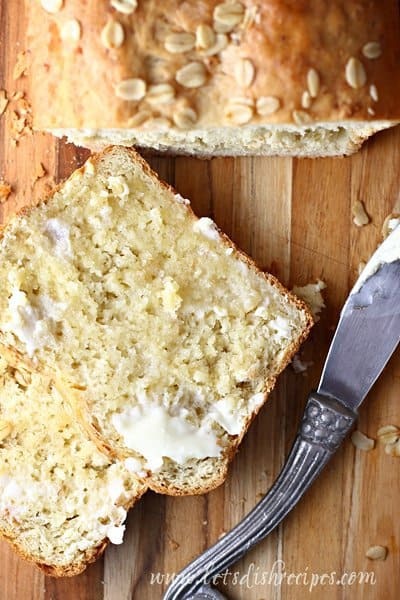 We’ve rounded up the most delicious easy to make NO KNEAD breads and rolls that go perfectly with so many dinner dishes. The best part is that while they cook your house will smell amazing. When they come out of the oven these bread and roll recipes are hot, soft, and go perfectly with a pat of butter. Make No Knead Bread and Rolls Recipes for your friends and family during the holidays as a perfect side to a delicious ham or turkey — yum! The recipes is this list are also perfect for casual side to Sunday dinners. I have also made the recipes ahead of time and saved them to make sandwiches throughout the week. Be prepared after serving these up because your friends and family are definitely going to ask you for the recipe as soon as dinner is over! 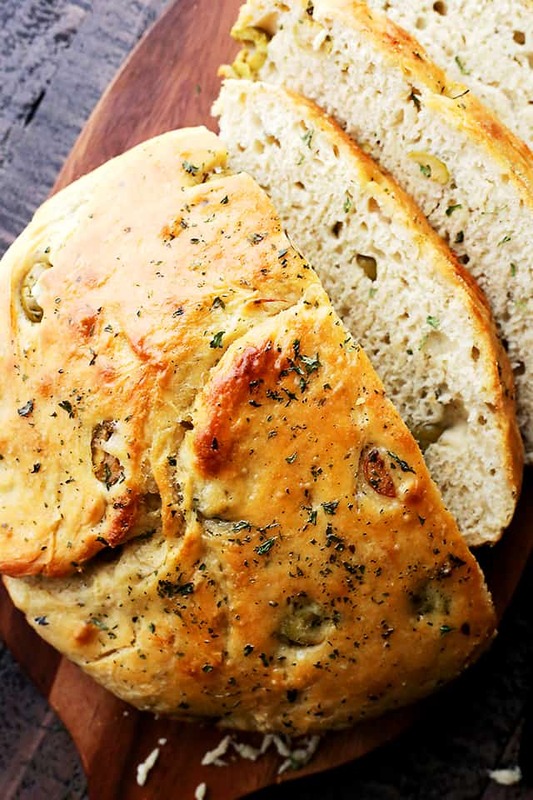 From Diethood :: Click HERE for the RECIPE Very easy to make, no-knead, crusty and delicious bread packed with marinated olives and garlic. 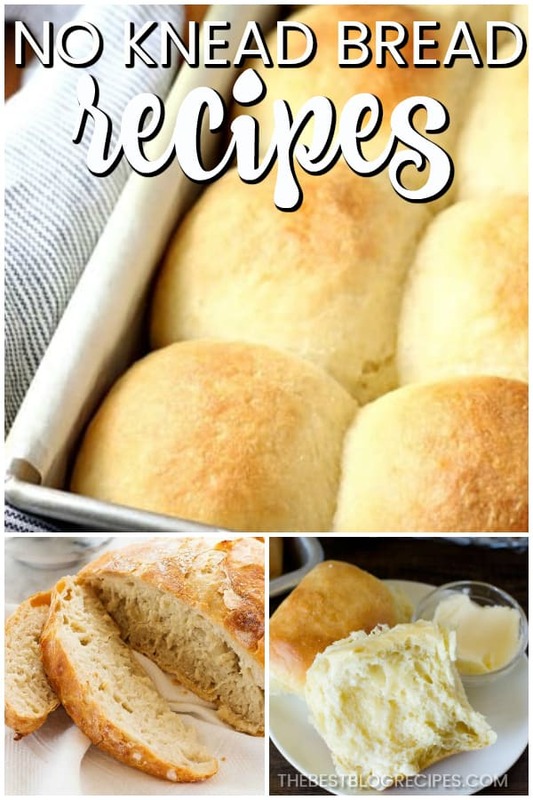 From Sweet C’s Designs :: Click HERE for the RECIPE A simple, foolproof way to make bakery style bread at home in a dutch oven without any bread making experience or special equipment – no kneading required! From Let’s Dish :: Click HERE for the RECIPE It’s got a hint of sweetness from the honey, which makes it delightful with some jam for breakfast. But it’s not so sweet that you can’t slice it up and use it for sandwiches. 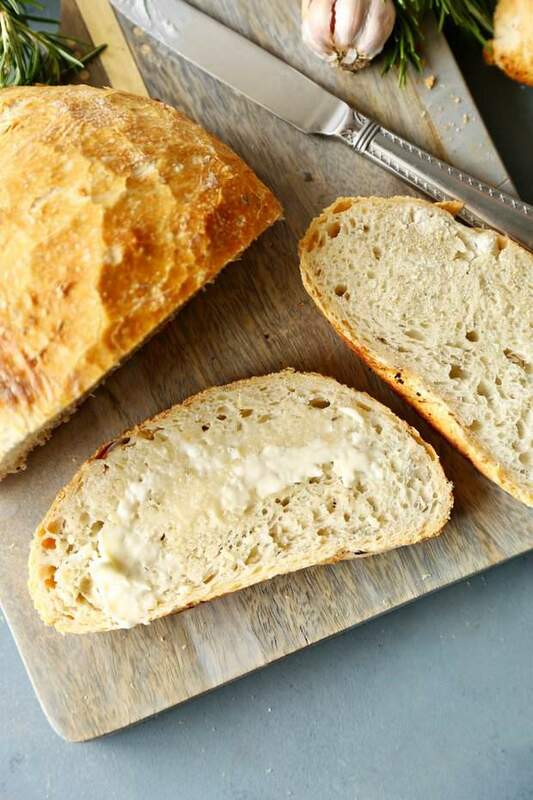 From The Chunky Chef :: Click HERE for the RECIPE If you think crusty artisan bread is only available from the bakery… get ready to think again! 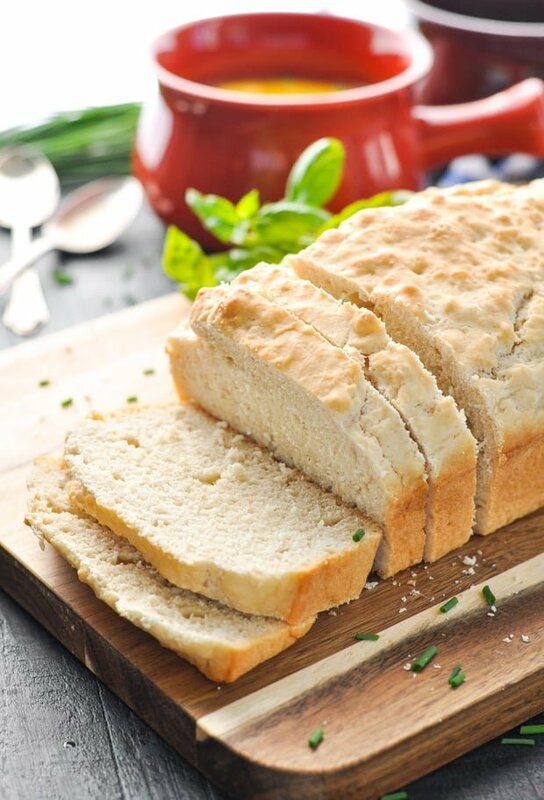 This no knead bread is made incredibly easy, and is easy to customize with add-ins for different flavor combinations! 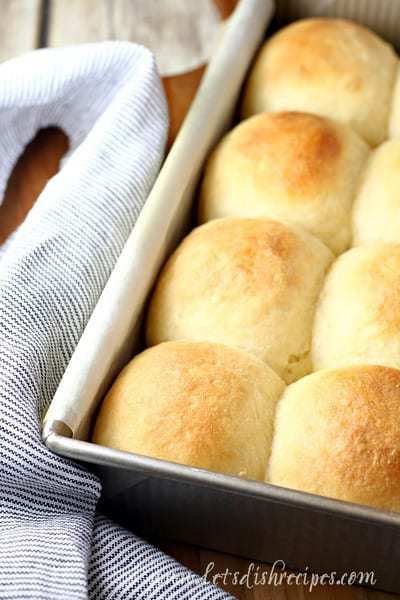 From Let’s Dish :: Click HERE for the RECIPE Everyone needs one really good, really easy dinner roll recipe in their repertoire, and these Fluffy No-Knead Dinner Rolls are it! 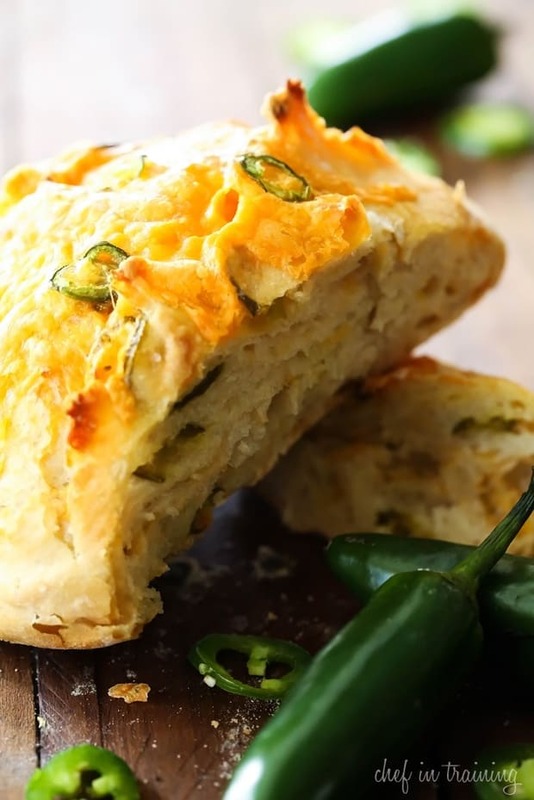 From Chef In Training :: Click HERE for the RECIPE This No-Knead Jalapeño Cheddar Bread recipe has a kick of heat and a balance of cheddar to compliment it. It is a great blend of flavors and ingredients. 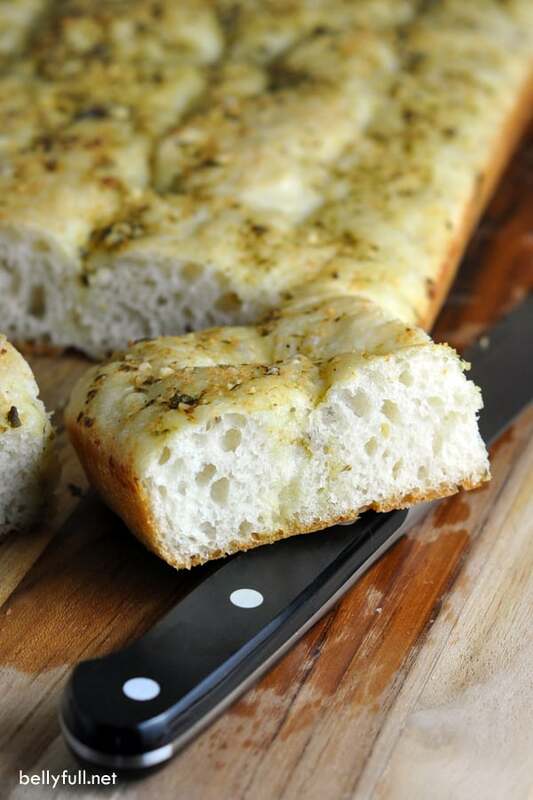 From Belly Full :: Click HERE for the RECIPE This easy no-knead Focaccia recipe is simple enough for the novice bread baker. Added pesto gives this classic a delicious twist! 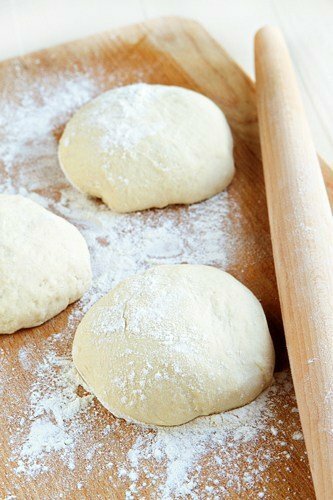 From My Baking Addiction :: Click HERE for the RECIPE This olive oil dough recipe is ridiculously easy to make. 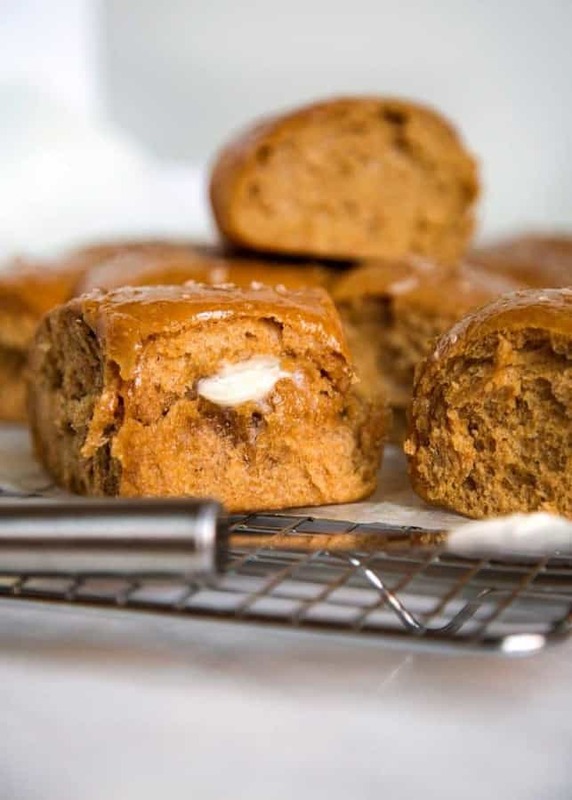 From Kevin Is Cooking :: Click HERE for the RECIPE No mixer required and the honey and wheat flavor is a nice change from the regular white bread version. Grab a bowl and spoon and let’s get to it, you have guests coming for dinner! 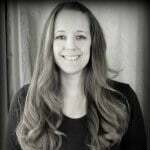 From If you give a Blonde a Kitchen :: Click HERE for the RECIPE No knead artisan bread is a recipe that everyone should have on hand. Making artisan bread from scratch is easy and will impress your friends and family! 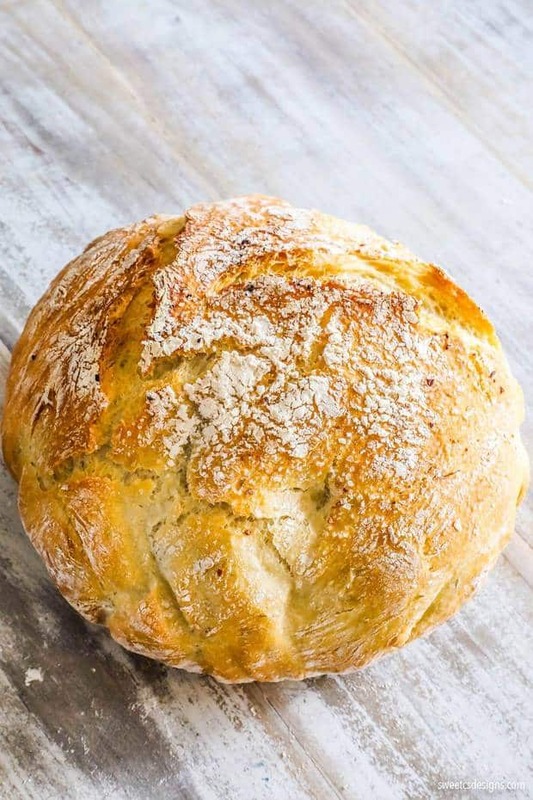 From The Seasoned Mom :: Click HERE for the RECIPE You don’t need any baking skills to enjoy a fresh loaf of homemade bread hot from the oven! This no-knead, no-yeast 3-Ingredient Beer Bread is the quickest, easiest, and tastiest loaf that you will ever prepare. 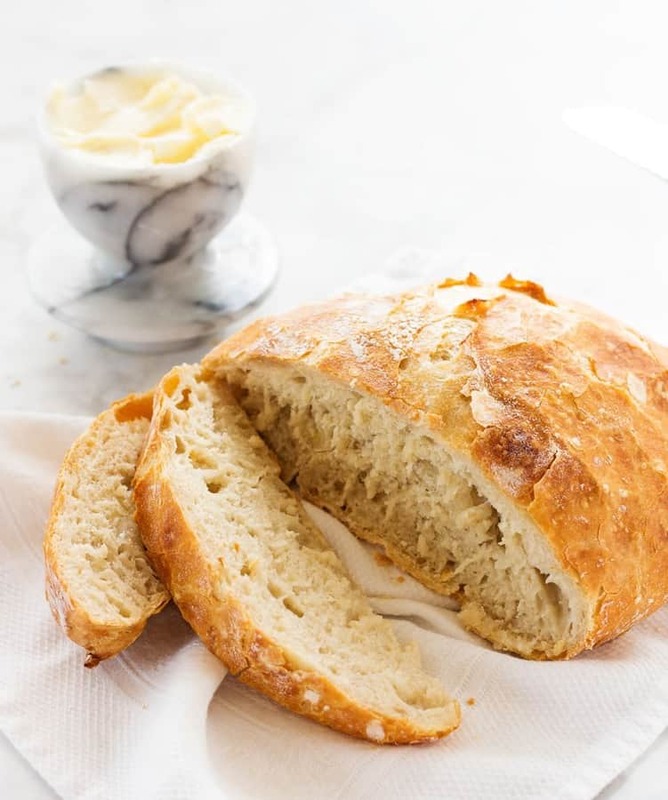 From Yummy Healthy Easy :: Click HERE for the RECIPE This Peasant Bread is a simple to make, no-knead recipe for the BEST bread ever! 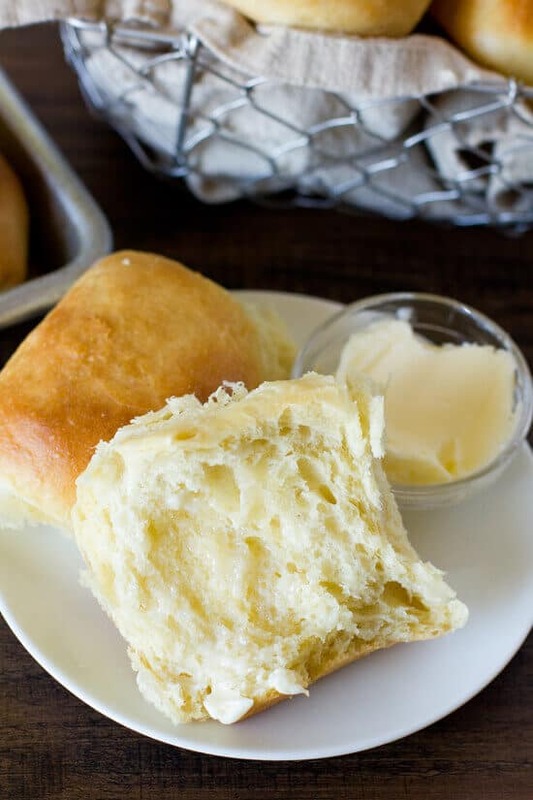 From Life Made Simple :: Click HERE for the RECIPE Warm buttery dinner rolls are our thing! Are they yours too? There is just something about a fresh roll — the smell, the taste, yeah — we love everything about them. That’s why we’re excited that we found these 1 Hour Soft and Fluffy Dinner Rolls over at Life Made Simple. Seriously, you only need 60 minutes start to finish for this recipe and then they’re done! We know — whoo hoo! Now go on and get your roll on. Oh my… I am a convert!! !